Holiday season is officially underway, which, for those of us dutifully bound to our television screens, means it’s time for a seemingly infinite stream of end-of-the-year programming. But if you’re not yet ready for Christmas specials and don't have time to watch a Thanksgiving movie, worry not: there are plenty of classic Thanksgiving moments from TV shows to tide you over. Here’s a smattering of our favorite turkey-themed television episodes, from sitcom food fights to classic family fare to, um, dead hookers and cocaine. 'Tis the season! When Jessica (Constance Wu) receives a call at 5:30 in the morning on Thanksgiving day from her mother, suddenly she’s tasked with hosting dinner later that afternoon. And even with only a matter of hours on the clock to make a meal to perfection, she’s determined to do it better than her sister who’s hosted in years past. What could go wrong? Just about everything from live birds instead of poultry and last minute shopping to relatives complaining as if their little disasters were the feast and all its fixings. Eventually, everything comes together for the Huangs, though, even if things were a little bit flawed. What’s a family gathering without some drama, anyway? 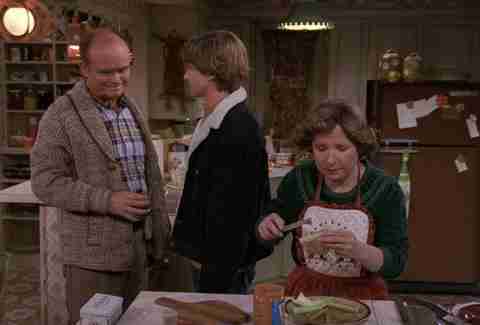 There are few sitcom characters meant to host Thanksgiving like Kitty Forman is meant to host the dinner of the decade on That '70s Show. On the series' original holiday special, as Kitty is overwhelmed with preparing supper and the arrival of their critical guest of honor, Red’s mother, Laurie returns from college and inevitably shakes things up to an inappropriate degree. Much like Laurie’s loose, free loving personality, her friend who tagged along from school tries to come onto Eric who, as the "dumbass" he is, blows her advances out of proportion. While holiday meals seem like they should go smoothly when they're cooked by even the sitcom rendition of June Carter, rotten kids always find a way to screw things up. No TV family embraces the chaos of large gatherings quite like the Bravermans on Parenthood. Bringing everybody together for a meal overblown with high expectations on Thanksgiving is, of course, no different. Just about every member of the family is on the brink of a meltdown whether they’re obsessing about perfecting a pie and subsequently ignoring their child like Julia (Erika Christensen) or worrying about nearly everything from job security to their teenage daughter slipping away like Adam (Peter Krause). But all things aside, the episode shows how much stronger the family is together. Sure, they may be dying to yell over one another at the dinner table, but there’s nothing the Bravermans can’t work through as a unit. 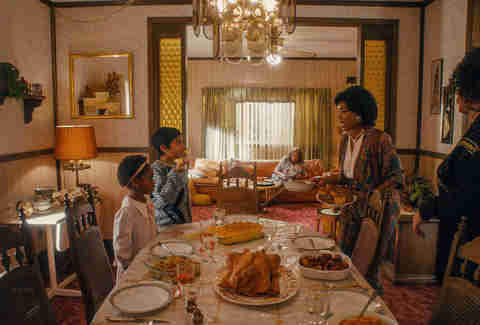 This Is Us has viewers in tears by the end of each of their episodes, making their first Thanksgiving episode no less emotional. Like most traditions within the Pearson family, things are a bit unconventional when it comes to Thanksgiving -- all because of how special their father Jack (Milo Ventimiglia) is at turning disasters into memories. In the episode’s flashback, as Jack, the Big Three, and Rebecca couldn’t be less excited to be en route to spend the holiday with Rebecca’s parents, their car coincidentally breaks down and festivities are forced to commence in a roadside motel with only hot dogs to feast on. Jack manages to turn things around, creating their own Pearson family traditions that are shown still reflected in present day -- including an annual screening of Police Academy 3. No matter how odd, sometimes our childhood family traditions are what we hold most dearly. New Girl has tackled Turkey Day a number of times over its six-season run, but this Season 2 entry is the standout. 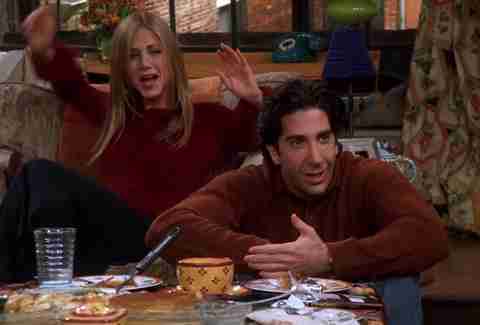 In it, Jess attempts to reunite her divorced parents, Parent Trap-style, by inviting them both to the loft for Thanksgiving. Jamie Lee Curtis and Rob Reiner guest star as Jess’s parents, and their chemistry is excellent (the two go way back: Reiner was the best man at Curtis’ wedding to Christopher Guest), making their fighting -- and make-up kissing -- electric and hilarious. “Parents” really nails how awkward the holidays can be for children of divorce, but how with time and friends, we can make new memories and traditions. After their hoagie Thanksgiving plans fall apart, the gang uses the holiday as an excuse to make amends with various problem people in their lives: Frank and Charlie with their landlord; Dee with Gail the Snail; and Dennis and Mac with the McPoyles. 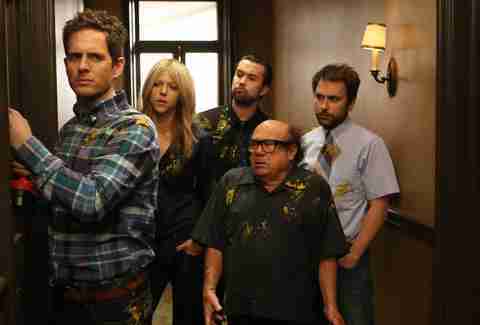 It’s festive in that distinctly It’s Always Sunny way: gross, uncomfortable, but backwardly charming. And, of course, it wouldn’t be a holiday with the gang if things didn’t end in literal flames. The ever-whimsical Gilmore Girls meshes well with the holidays; stepping into the fictional world of Stars Hollow is like putting on a big, soft sweater. That’s exactly how “A Deep-Friend Korean Thanksgiving” feels: comfortable, safe, familiar. Rory and Lorelai split the holiday into four visits, first to the Kim’s, then to Luke’s, then Sookie’s, and eventually to Emily and Richard’s. Each visit is a little slice of small-town family life, with the different cuisines -- tofurkey at the Kim’s, a deep-fried turkey at Sookie’s -- such visits entail. Anyone who’s spent Thanksgiving frantically driving between households will relate. 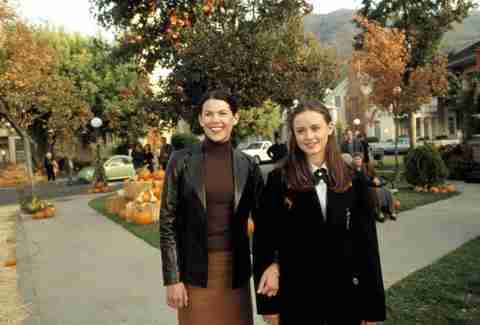 Like all the best Gilmore Girl episodes, this one leaves you with the warm and fuzzies. If there’s one thing that screams “Thanksgiving,” it’s an elementary school rendition of The Miracle Worker, right? This classic South Park episode is, like all classic South Park episodes, completely tasteless and completely hilarious. 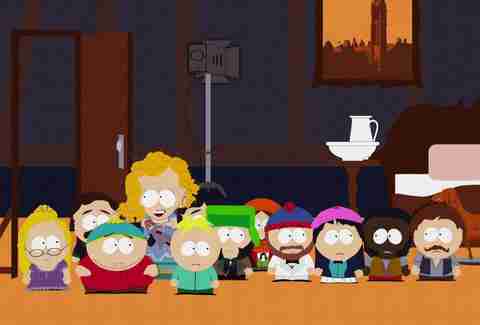 After Butters talks up the kindergarteners' planned holiday program, Cartman vows to outdo them with a special musicalized version of the Helen Keller-themed play. Meanwhile, Timmy befriends a disabled turkey he hopes to feature in the performance. 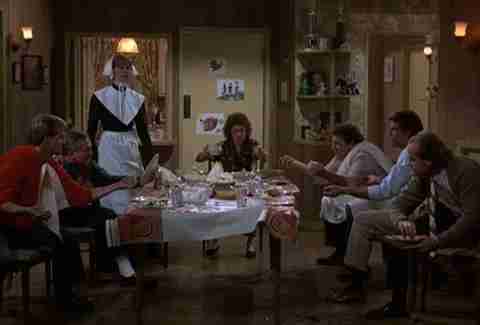 We’d be remiss to not mention this beloved episode, where the gang recalls past Thanksgivings gone awry. Some of it hasn’t aged particularly well -- Courteney Cox in a fat suit is always a hollow gag -- but it’s still a fun journey through the personal histories of our favorite characters. Monica with that sunglasses-wearing turkey on her head, Chandler and Ross in those Miami Vice outfits, an apparently immortal Phoebe in a WWI field hospital -- it’s pure, iconic Friends imagery with a holiday twist. Bewitched was way ahead of its time, and this episode highlights why the series is due for a modern reappraisal. When Aunt Clara sends Samantha and Darrin (and their perpetually eavesdropping neighbor, Gladys) to Pilgrim-era Plymouth, all hell breaks loose after Darrin lights a match and is arrested for witchcraft. It’s a smart swapping of gender norms, with Samantha defending her husband in court, and a great lesson for the nitpicking Darrin, who’s never before grasped the persecution Samantha endures as both a modern woman and witch. Also excellent: the episode’s amazing throwback costumes and Samantha’s note-perfect sassiness. Rising tensions between Tony and Ralph, a car crash, a dead stripper, cocaine, an adulterous affair on a yacht -- sounds like a Soprano family holiday to us. It also demonstrates another relatable Thanksgiving tradition: lying to get out of plans. That’s what Tony forces Carmela to do when he remembers they’re due to host Rosalie and Ralph, Tony’s underling turned nemesis. Who among us can’t relate? 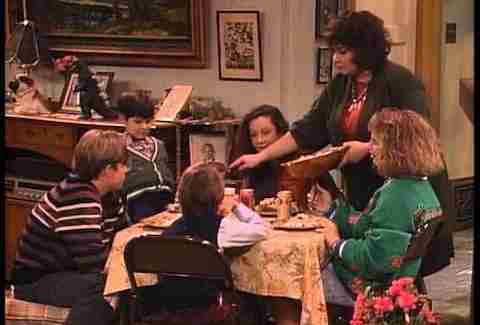 Roseanne is a great show for small-town holiday lovers. There are, of course, the infamous Halloween tributes, but the show turned out several humbling Thanksgiving episodes, too. This Season 2 one is discomforting in all the right ways, as both sets of loud-mouth Conner family in-laws come together for the holiday. Dan’s dad makes things extra awkward when he hits on a much younger family friend, and Jackie upsets her mom when she informs her she’s going into the police academy. It’s small-scale drama, but the kind Roseanne was so excellent at mining for comedy. 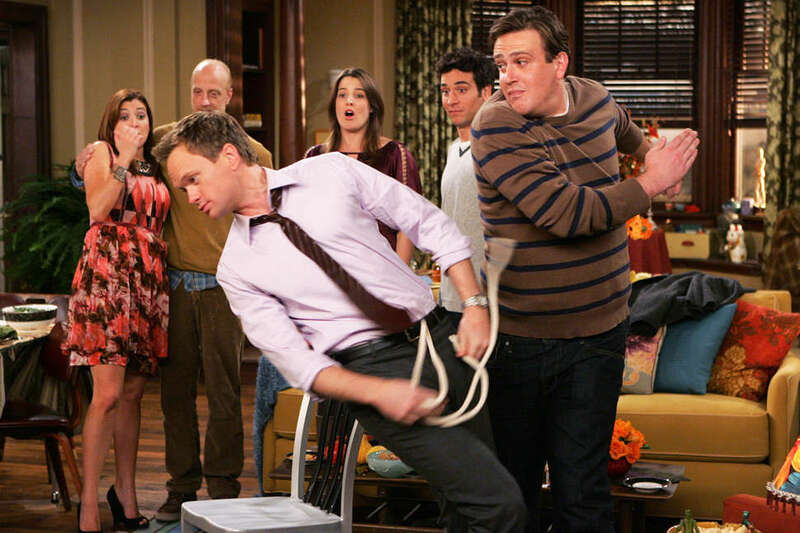 How I Met Your Mother also knew how to crank out fantastic holiday episodes. "Slapsgiving" gets into those awkward post-break-up feels, as Ted and Robin attempt friendship after being a couple. On the flip side is Marshall and Lily, who are celebrating their first Thanksgiving as a married couple. This leads to some division in the friend group, as Lily urges Robin to talk things out with Ted, while Ted tries hard to ignore it. Things end on a rosy note, but those familiar heart pangs are strong with this one. The arrival of a group of evangelical Chinese immigrants seeking asylum in the US coincides with Thanksgiving in this memorable, fan-favorite episode. It gets pretty saccharine by the end, with President Bartlet’s tear jerking gift to Charlie, and C.J.’s turkey pardoning, but it’s also a surprisingly funny entry. And, because it’s The West Wing, there’s also some political back and forth about the ethics of prayer in public schools. 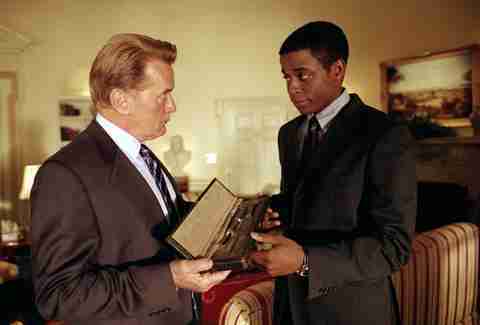 Still, it’s always fun to revisit this show, and remember a time when fictional presidents inspired awe and not anxiety. 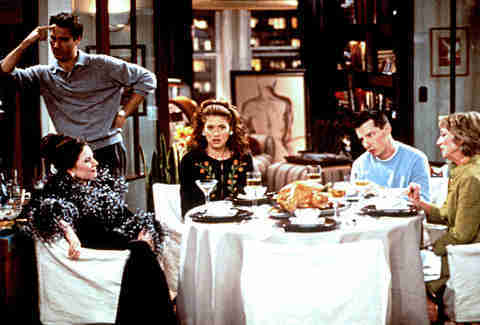 It’s hard to pick a favorite Will and Grace Thanksgiving episode, but we settled on this second season gem, which centers on Jack struggling to come out to his mother (played by the marvelous Veronica Cartwright). It’s an episode full of hilarious gags, like Jack and Grace pretending they used to be a couple to keep up his lie, but it’s also full of touching truths about the difficulties of coming out to family. Aziz Ansari’s romantic comedy series took a break for an episode from following his character Dev to give insight into his best friend Denise’s (Lena Waithe) life, chronicling Thanksgivings from past to the present -- making for not only a great holiday episode, but possibly the series’ best installment yet. Artfully directed by music video director Melina Matsoukas, the episode painstakingly paints Denise’s childhood through adulthood as she comes to terms with her sexuality and her family’s reckoning of her identity. Turkey dinners and mash potatoes may be what brings this matriarch-led family together, but the episode is so much more than that about the strength of black women, queerness in the black community, and self-acceptance. 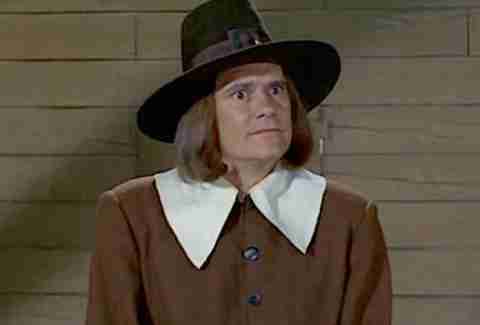 The holy grail of Thanksgiving episodes. Like all the sitcoms on this list, Cheers finds comedy in holiday-themed misery. The characters, down on their luck after their dinner plans foil, gather for a potluck. 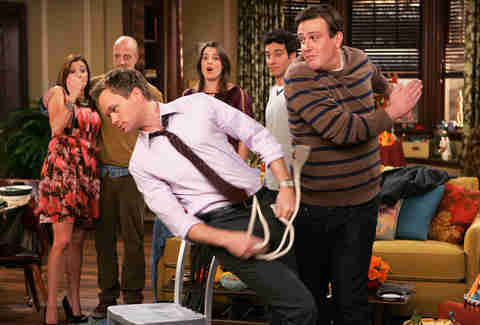 As they wait for Norm’s slow-cooking turkey, an epic food fight erupts. It’s messy, it’s funny, and it’ll make you long for a group of friends who bond by throwing handfuls of mashed potatoes at each other. Thrillist Entertainment is your go-to source for all things streaming.